One of the first things I realized after becoming a math teacher in my very first Algebra 1 summer school course was that students love to cross multiply. You stick a fraction on the board and ask something like, "Okay, what next," and you will most certainly get some kids that are dying to cross multiply. But things might start to fall apart sometimes when students have to set up the proportions themselves in a situation not neatly laid out for them in "word problem" format. Here are two such attempts that I used in my Algebra 1 class this past week. 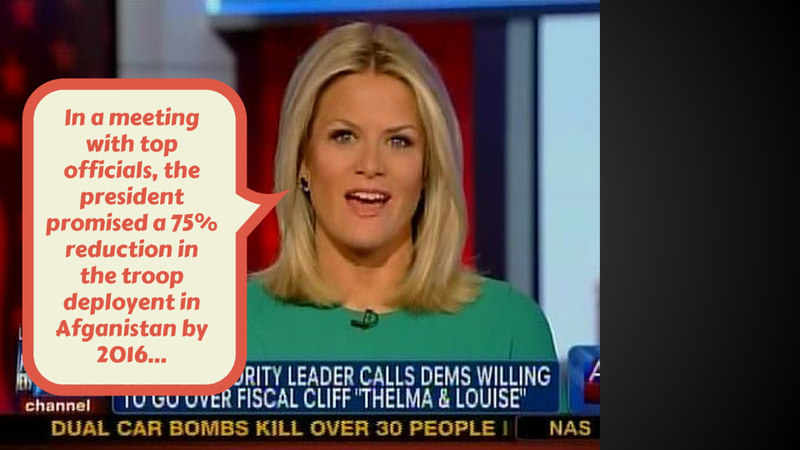 One is about troop reduction in Afghanistan, and the other is about "total percentage of weight loss" and trying to win the reality show The Biggest Loser. You could increase the rigor in both of these problems if you did not initially give either of the numbers I hand out (8000 and 51%, respectively) and instead, had your students figure out what number would be relevant to finding a solution that would satisfy the problem. After deciding what information was needed and/or relevant, students could do a web search to find the information for themselves. Have an extension question exploring these ratios in a different way. 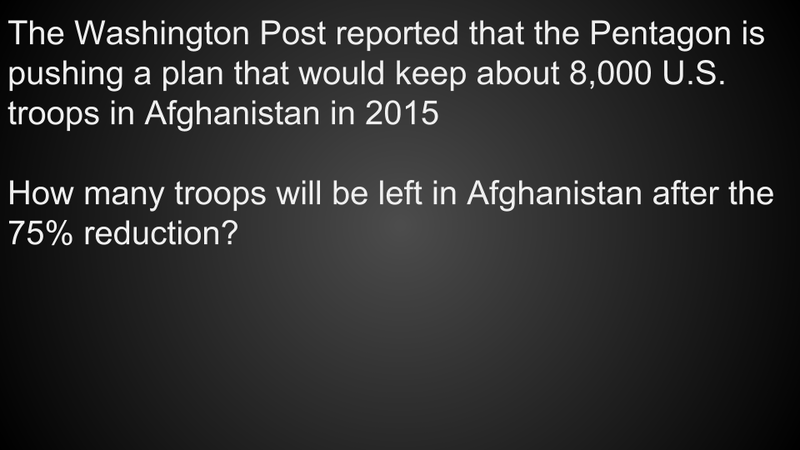 The Afghanistan troop numbers could be compared to Iraq or previous deployments this century in Afghanistan. 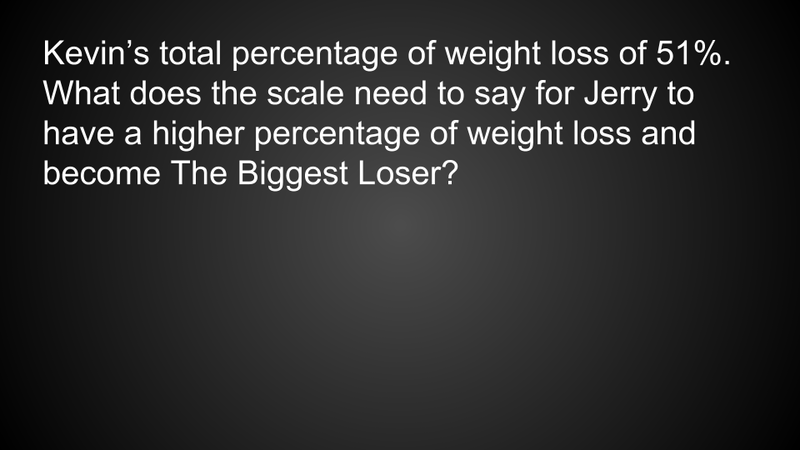 The Biggest Loser problem could ask students to compare Jerry to other seasons to see if he would have won those years. 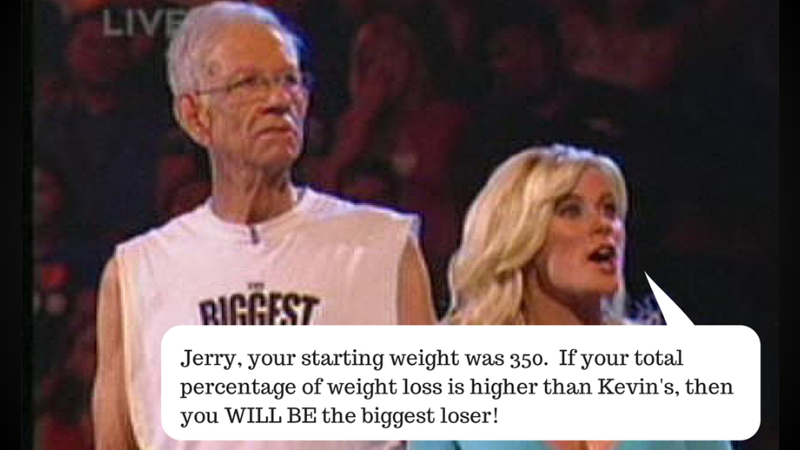 You could have students set up "teams" of Biggest Loser contestants and find the proportions of weight loss necessary to defeat other fantasy teams from previous Biggest Loser seasons.